Read what led the Hawks to this point by clicking on the link to Parts One, Two, & Three below. Things quickly shifted from the mindset of needing to rebuild before Lou Hudson’s prime to a crisis mode though, when Zelmo Beaty decided he wanted to make a jump to the ABA’s Utah Stars when they offered him more money than Atlanta was paying him. The Hawks sued, and, while the lawsuit was going on, Beaty wasn’t allowed to play for either team. Which meant the Hawks would be just on the brink of making the playoffs that year. Or at least they should have been. But every major piece of that team stepped up. Hudson became a full-fledged 25 ppg scorer and Joe Caldwell put up an all-star-worthy season. 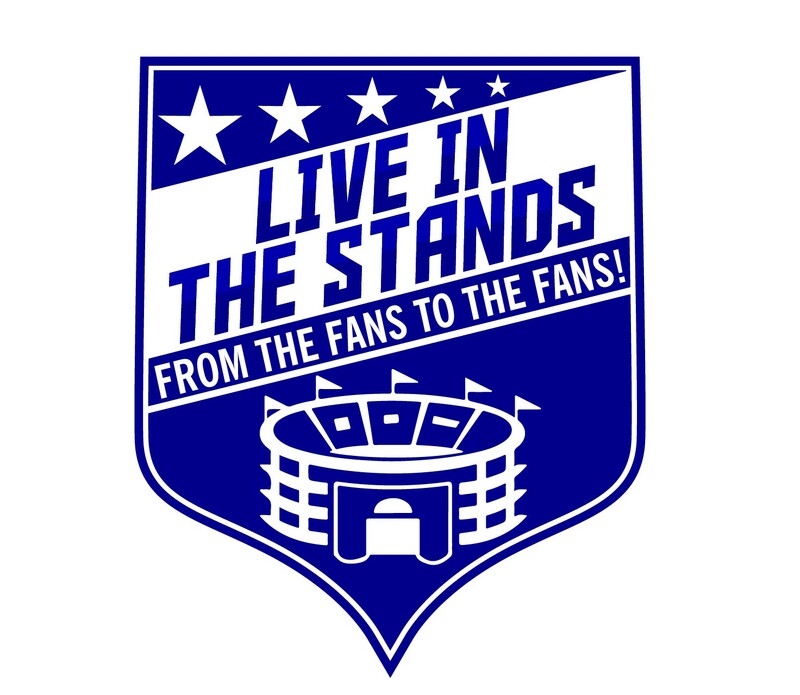 Even Walt Hazzard, who went back to using his birth name after he quickly got tired of the grief he was getting from fans for his conversion to Islam, had a considerable improvement, and the team inexplicably stood at 26-15 halfway through the year. Knowing that he’d have to compete with the Lakers again, coach Richie Guerin needed to find a replacement for Beaty before the trade deadline so in came Walt Bellamy from a perennially-struggling Detroit. With Bellamy now joining and a growing chance of losing the Beaty case, Guerin had to make a choice, and he decided he didn’t trust in their chances of winning or that the ABA would be short-lived enough to get him back still in his prime, so he put Beaty on the trade block. A day after the Bellamy trade, he found an offer for Beaty. The Warriors were already in a position where they needed to hope the ABA would fail soon, with team star Rick Barry playing there at the time, so they were willing to take a chance and trade their first-round pick to Atlanta for Beaty’s rights. With Bellamy in the middle, it solidified that they were contenders still and a 21 point win over Boston late in the season really made that reality. They beat the Bulls in five without any challenge whatsoever, and with Caldwell, Hudson, and Hazzard all averaging well over twenty points a game. Next up: Those hated Lakers that they haven’t been able to get past for almost a decade. This year that streak didn’t end. West averaged 34 points. The Hawks got swept. Three more teams were added to the league after the year and with them came the division system and a move to the East for Atlanta. Also, it was finally ruled that Beaty could play in the ABA, and that led to a further exodus that saw Caldwell follow him to the more glamorous league at the time. It turned out that the pick they’d got from San Francisco was top three though, and this looked like a very good draft, so Marty Blake was hopeful they could rebuild quickly with a good draft night. With that Warriors pick they brought in the NCAA’s all-time leading scorer in Pistol Pete Maravich, and later on in the draft selected Manuel Raga and Dino Meneghin from the champions of Europe, Varese. Neither player ever played in the league, but they were the first two players drafted from a foreign league and began the influx of international talent to the NBA. After the draft, the Hawks lost one more member of the team to the ABA, as even GM Marty Blake, who’d built all of the contending team’s they’d had over the last decade, was named President of the Pittsburgh Condors. As the season got underway, Maravich proved to be a flashy player to an extent that the NBA had never seen before. His style was a fierce contrast to that of more conservative play by Hazzard and Bellamy, but he and Hudson were a pretty unstoppable scoring duo. Although the team appeared to work on paper, it just really didn’t, and they fell down to a losing record. They unrightfully snuck into the playoffs only because of the new rule that the top two teams from each division made the playoffs. That still meant they’d face the top-seeded defending champion Knicks, who they didn’t have a prayer of beating. Or did they? Atlanta stole homecourt advantage after shocking the Knicks in Game 2 in New York thanks to a 35 point game by Sweet Lou. After that, though, they fell apart and couldn’t quite do enough to win any more games, although they kept games 5 and 6 close. It came down to just not having quite enough stamina to keep up, as Guerin failed to trust his bench this year to a near-historic extent, only playing 7 different players in the whole series, but it was an admirable series from the team nonetheless. Wanting to come closer to contending, with a solid core in place, the Hawks signed Julius Erving away from the ABA. The problem was, well, there were lots of problems… Dr. J was still eligible for the draft somehow so the Bucks drafted him weeks later, and he was also still under contract with his ABA team the Squires. He played for Atlanta during the preseason but the NBA fined them the maximum amount for a fine every game he played, and they gave up trying to keep him after about a month. Trying to mold the team more to fit Maravich’s style of play, Guerin traded away Walt Hazzard to Buffalo for a less ball-dominant PG in Herm Gilliam, and then also quickly sent away Bill Bridges and his hustle play for Jim Washington, a face-up shooting big that could help space the floor better. Oddly, it had the exact opposite effect on Maravich as expected, and he struggled all year long, only putting up 19 points a game, while Hudson’s scoring averages fell too. Bellamy, with his cookie cutter old-school big man style being exactly what the team was trying to shift away from, ironically had a resurgence and had the best season he’d had in half a decade, becoming a true focal point of the team for the first time. With this shift in how the team played turning out the exact opposite as Guerin hoped, the team didn’t improve at all and finished with the exact same 36-46 record. Faced up against the top seed again, this time the Celtics, Maravich finally made the system work and the series basically turned into a shootout between duos of Maravich and Hudson, against John Havlicek and Jo Jo White. This led to blowout losses in Boston and a couple close wins for the Hawks at home, and in Game 6, Atlanta quickly fell behind. But they battled back and Maravich had one of the best games of his career so far, exploding for 37 points. They never could quite get back into the game though, and Hudson’s series low 18 points wasn’t enough help for Maravich as they lost by six and lost the series. With two losing years in a row despite multiple all-star talents on the team, management found it to be time for Guerin to go, and he was out as coach. It was a good time for the transition anyways, as the Omni Coliseum had finally finished being built and they were moving into their own stadium for the first time since moving to Atlanta, after four years playing on Georgia Tech’s court. As Guerin’s replacement, the team brought in Cotton Fitzsimmons, who’d managed to overachieve with the Suns the two years before, and was starting to gain plaudits around the league. Fitzsimmons had come specifically because he wanted to coach Maravich, and he had a very set idea of how he wanted to use him. 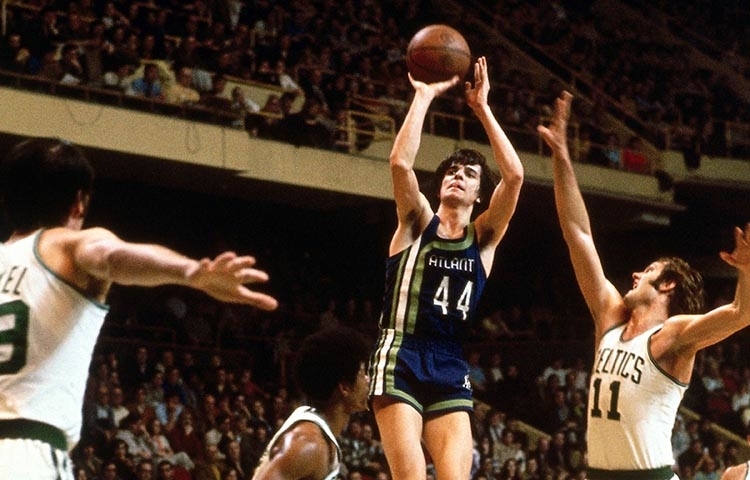 Fitzsimmons embraced a run-and-gun style to showcase Pistol Pete’s crazy skillfulness, and it worked to a T.
Hudson and Maravich both bounced back from off-years and combined to average 53 points a game, plus Bellamy’s effectiveness was barely compromised and he still averaged 16 and 13 of his own right. With help from Herm Gilliam’s defense at the point guard position, they improved considerably without any major roster changes. But they still had to get by those pesky Celtics. 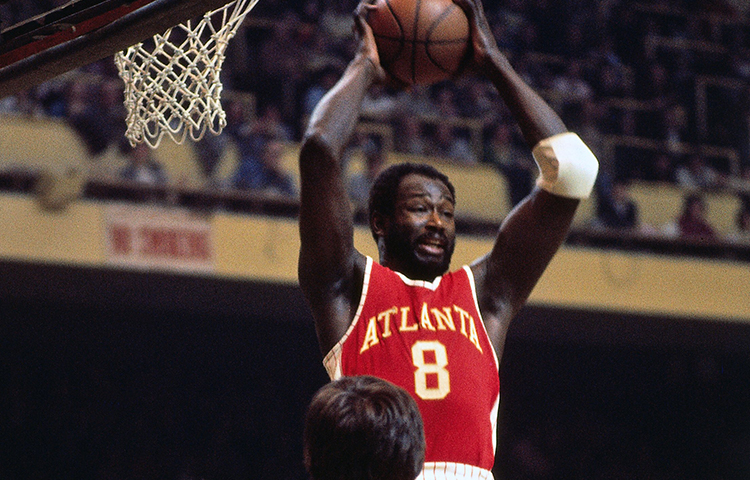 And the series threatened to devolve into another shootout between those same duos as last year, with Havlicek dropping 54 in a 134-109 walloping of Atlanta in the first game… And to an extent it was; in every game, there was a 30+ point performance from one of that four. The difference in the series this year was the impact that Dave Cowens made, and his averages of 19 points and 20 rebounds gave Boston enough of an advantage to repeat their six-game win from the year before. Hoping to build off that year’s success, Fitzsimmons had the 9th and 10th picks in the draft to help them improve. Filling a hole that will certainly need filling soon with Bellamy now turning 34, they picked a pair of bigs hoping one of them will be good enough to replace him. They picked Dwight Jones from Houston and John Brown from Missouri. Neither ever became starters, let alone a replacement for Bellamy. And he was really beginning to need one. His rebound average fell below ten after getting 13 every year since joining, and he barely registered half a block per game. While Bellamy’s role was decreasing, there wasn’t really anyone to pick up the slack and that was bad for the team. Without a real threat in the paint, that allowed defenses to collapse on Hudson and Maravich and it slowed down their offense a bit, as well as making them less efficient. That didn’t slow down Pete as he scored the second-most in the league, but the team struggled all year long and missed the playoffs by quite a margin. The year was rightfully branded a failure, and it didn’t help optimism in the organization that they lost Bellamy to the Jazz in the expansion draft. The Jazz weren’t done yet though; they wanted a superstar, and New Orleans sent the Hawks two players and five picks for Maravich. The Hawks were willing to accept the trade after missing the playoffs the year before, and that officially started rebuilding mode again in Atlanta. Piling things on even more, with the team already in a pretty bad position, 11 games into the year, Lou Hudson broke his elbow, and wouldn’t return all year. At this point, Hawks games pretty much became a garbage-time-fest, and there weren’t many positives at all. Although there was one. Second Round pick John Drew got a lot of time in a small-ball lineup as an undersized 4, and on this bad team he got the opportunity to show he was one of the league’s premier offensive rebounders as a rookie, as well as a bit of a scoring threat. That didn’t change the fact that the season was a lost cause and rebuilding the team would take a while, though. What do the Eagles do with Carson Wentz and Nick Foles situation?